Secretary of State Rex Tillerson has remained a mystery to some staffers at the US State Department, The Washington Post reported on Thursday night. Citing people within the agency, The Post painted a picture of a reclusive diplomat who takes a private elevator to his office at the State Department and stays there, blocking out "several hours" to read. The newspaper noted that while Tillerson tends to interact with an "insular circle of political aides," some longtime staffers at the agency have yet to meet him. President Donald Trump appointed Tillerson in December, pulling him out of an 11-year role as CEO of ExxonMobil. Tillerson, who has no previous experience working in government, has had a rough first few weeks as America's top diplomat. He has largely eschewed media coverage, embarking on his first outings as secretary of state without a press pool. Tillerson said in an interview with the Independent Journal Review last week, "I didn't want this job. I didn't seek this job," and said he was stunned when Trump made the offer in December. "I was supposed to retire in March, this month," Tillerson said, "I was going to go to the ranch to be with my grandkids," Tillerson told the publication, whose reporter, Erin McPike, was the only journalist allowed to travel with Tillerson on a recent Asia trip. 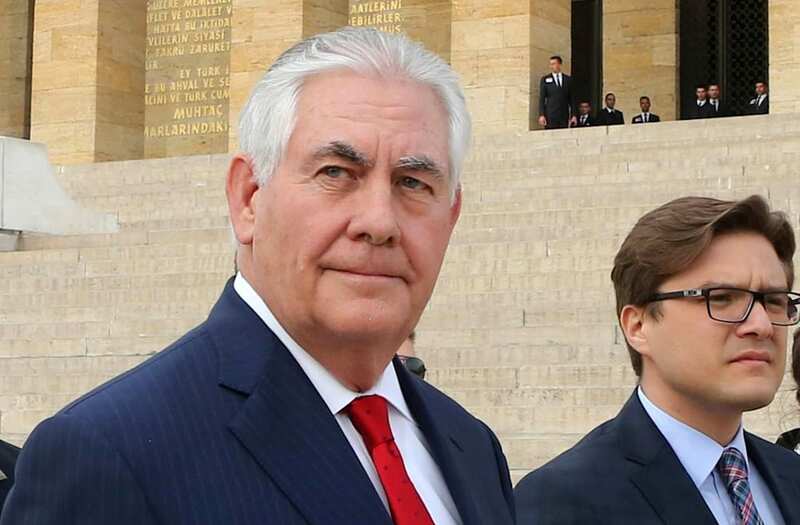 Tillerson is set to travel to Belgium on Friday.